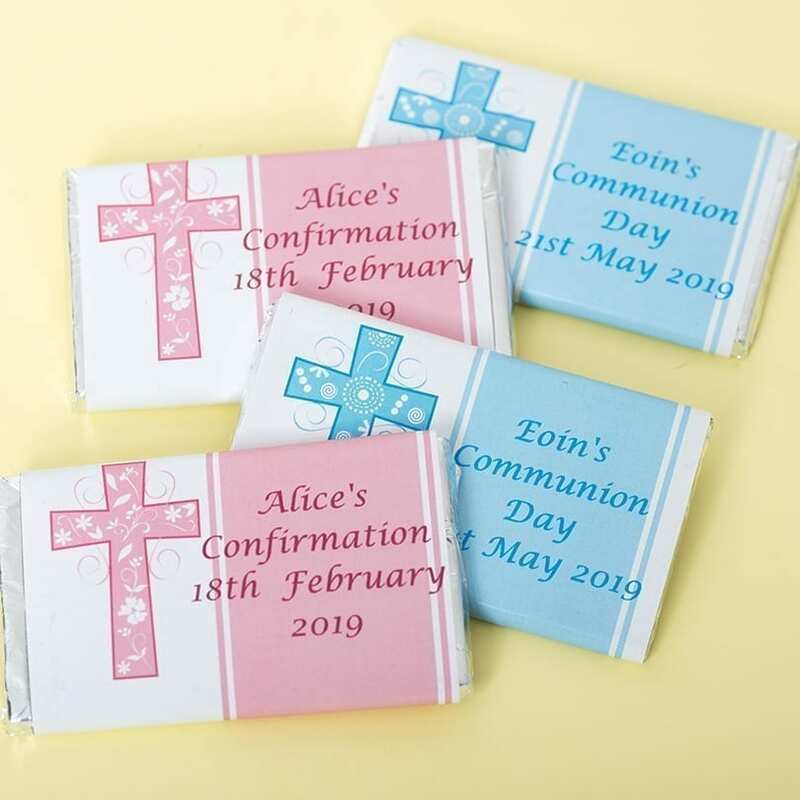 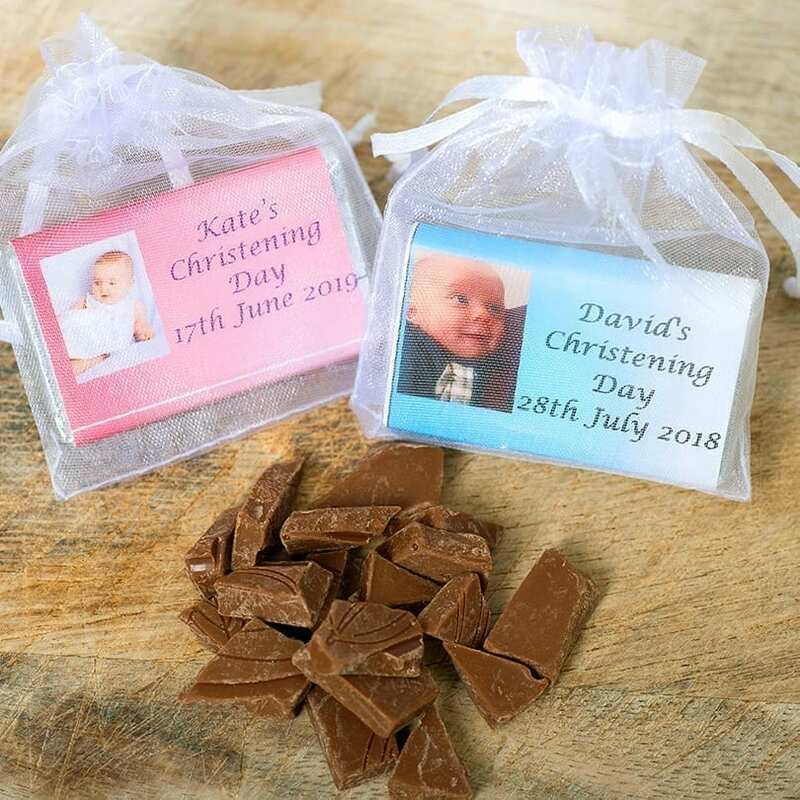 Availble in packs of 15 our milk chocolate coin with footprints are an excellent addions to christening and baby showers. 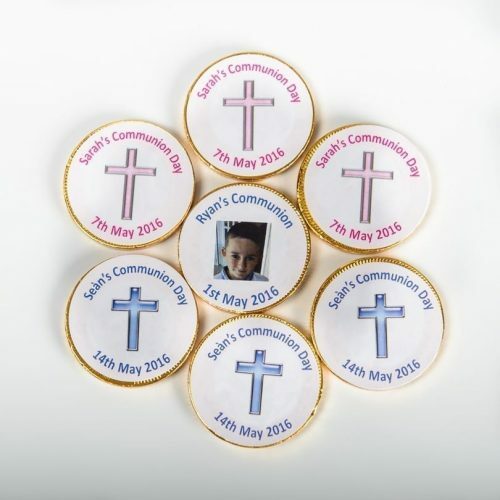 Stickered on both sides with the child’s name and date of occasion. Our Personalised Christening Chocolate Coins come with a footprints label on both sides. 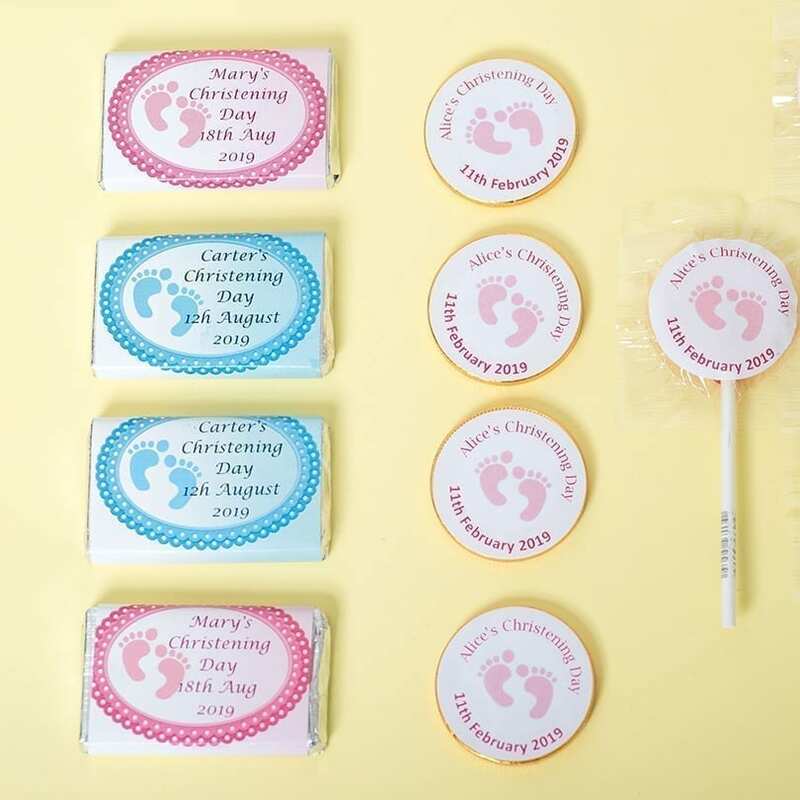 The label comes in either a blue or pink design with blue or pink text.